OREGONIAN’S VALUE LOCAL. And with a seemingly endless surplus of home-grown purveyors – from brewers to farmers – residents across the state have the unique opportunity to experience the quality that is so often associated with products locally sourced. Midnight, a premium select 90-proof whisky from the makers of Pendleton Whisky, and local Oregon products: Imbue Petal and Thorn Aperitif, a syrup made from pFriem’s IPA in Hood River, as well as Clear Creek Cherry Brandy from Portland. It’s this attention to detail, and defiance of mixology mediocrity that helps define Joe. A Marine Corps veteran, Joe thrives in fast pace environments where creative, on-your-toes decision-making is vital. 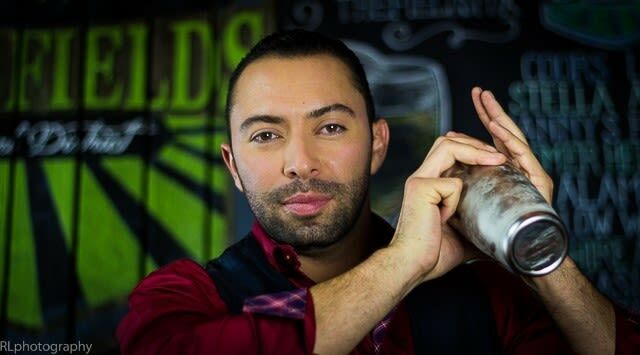 Now serving as the bar manager at Lechon, as well as being a consultant with The Liquid Courage Corporation, Joe’s name has become synonymous with “cocktail expert” in the Portland market. Inspired by innovation, Joe gets the opportunity in his everyday life to be inventive and imaginative, doing what he does best: making award-winning libations. The Pendleton Midnight Cocktail Challenge was a national contest that invited mixologists from across the country to put their skills to the test and create unique beverages that featured Pendleton Midnight. Famed “Cocktail Guru”, Jonathan Pogash, served as the contest judge and named Joe the grand prize winner among five finalists. There were several praise-worthy aspects of Joe’s creation, but above all Jonathan applauded the balancing act of the orange oil and bitters that allowed Pendleton Midnight to shine through. For more information about Pendleton Midnight visit PendletonWhisky.com. Create the pFriem IPA syrup by mixing a 1:1 ratio of sugar and IPA beer over high heat and stir until sugar has been dissolved. Let it cool and refrigerate any extra syrup. Mix ingredients, add ice, stir for 15 seconds.